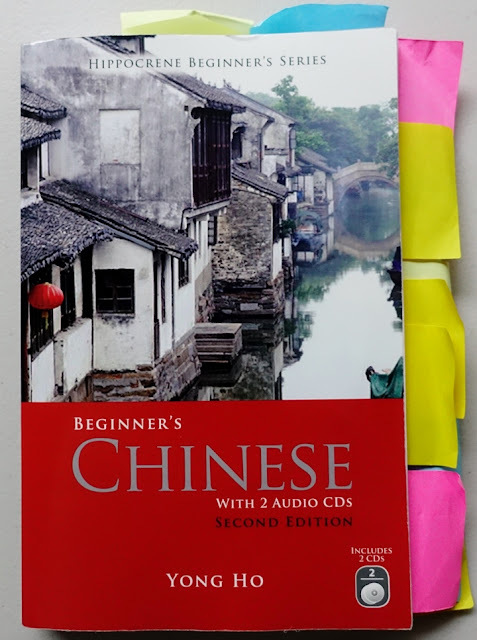 I write this review for their benefit, and for the entertainment value of anyone interested in seeing what is inside a language textbook such as Beginner's Chinese by Yong Ho. I suppose I am the type of person who, on a very selective basis, doesn't mind biting the bullet and taking a gamble on something to see if it is a good or bad thing, especially if it is something that interests me. In the case of shopping, sometimes I discover that the choice to buy was a horrible one; but every now and then (as is the case here) the choice proves to be well worth it. I do intend to review more titles: after Mandarin, it is a medium to long-term goal of mine to learn the bare basics of Cantonese, Spanish, Arabic and Korean - possibly in that order. Length: 326 pages, inclusive of answers to exercises, references and glossary. 269 pages for the 10 main chapters + Introduction. Cost: About $37 to $40 (AUD). Book Depository. 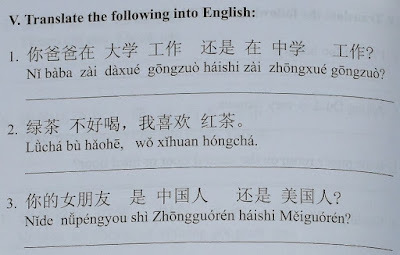 Perhaps most importantly, its inclusion of 2 audio CDs (one for pin yin practice; and one for the new sentence patterns and new vocabulary introduced in each of the ten chapters). Each chapter is usually about the theme it is named for, but that doesn't mean the words you learn must strictly adhere to the theme. Often you will learn other new words as you go along. 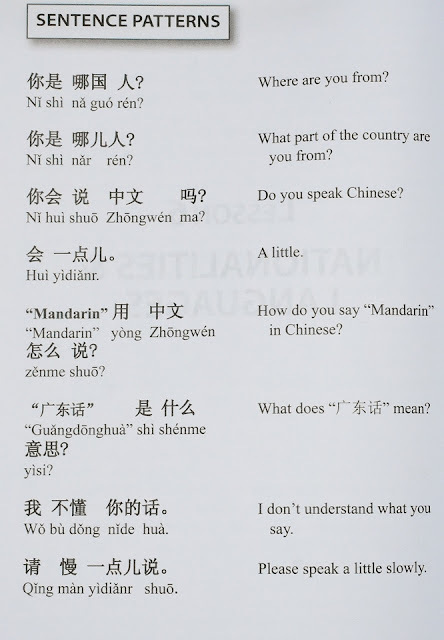 Prior to the chapters, the book introduces the reader to Mandarin, including its cultural history and the phonetics of the language (Pīnyīn - 拼音). There is a whole CD dedicated to Pin Yin pronunciation. 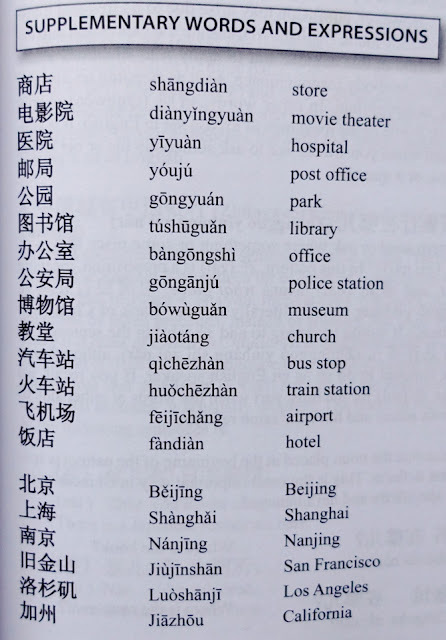 This is obviously critical because if you can't get the Pin Yin right, you will have a difficult task of learning all the sentences in this book. Fortunately the 1st audio CD is generous in its coverage of this area, with 23 tracks covering what appears to be all possible sound combinations including the 4 tones, initial sounds and final sounds. There is even a helpful chart at page 14 which lists all the sound combinations. Pages 16-17 outline a useful guide to tackling tones as well. 1. Sentence patterns - these are the sentence structures the lesson will focus on. 2. Conversations - this section features practical dialogue used in everyday Chinese. It uses, and expands on, the sentence patterns previously introduced. 3. New words and expressions and "Supplementary words" - this part will list the new words learnt in this chapter along with their meanings. The words are sorted under headings such as Nouns, Verbs, Adjectives and Adverbs. "Supplementary Words" are meant to broaden your horizons by providing words beyond the domain of that chapter. CD/Audio help: As far as I am aware, it appears that all conversations, new words and expressions, supplementary words and expressions and sentence patterns are covered in the 2nd audio CD. The CD features 10 tracks, one track per chapter. This makes pronunciation and learning easier. 4. Language points. This part will clarify some of the structures used in the sentence patterns and conversations, even occasionally explaining the cultural reasons and etiquette for why certain things are said the way they are! This, along with 'Cultural Insights', is one of my favourite sections. 5. 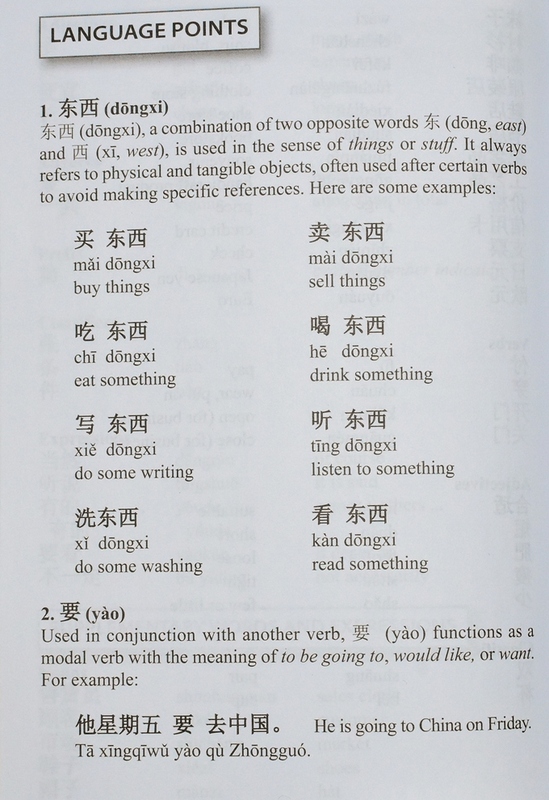 Exercises - Usually this involves translating Chinese sentences or translating English sentences into Chinese. Every now and then (but rarely) more interesting exercises are given. Writing characters is given token consideration. To be honest, I would have liked to see more translation exercises. 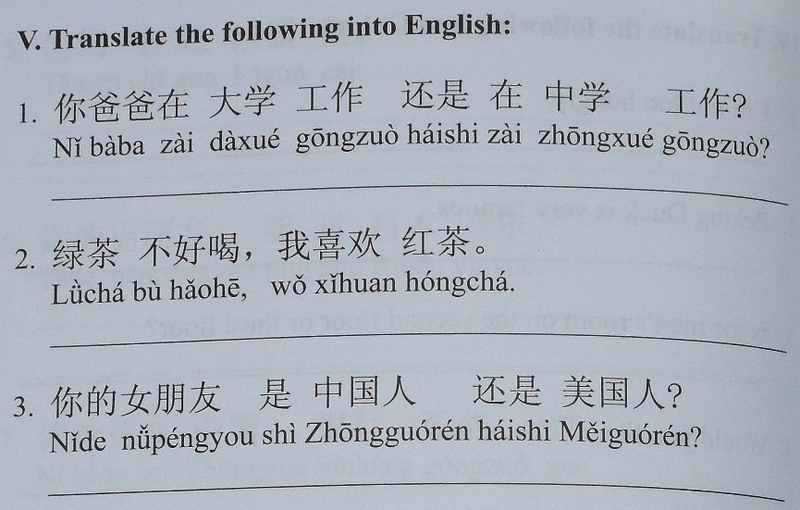 Answers are provided at the back of the book in pin yin. Occasionally you will find some trickier exercises that make use of supplementary expressions not thoroughly covered - I do wish more of this was included! 6. 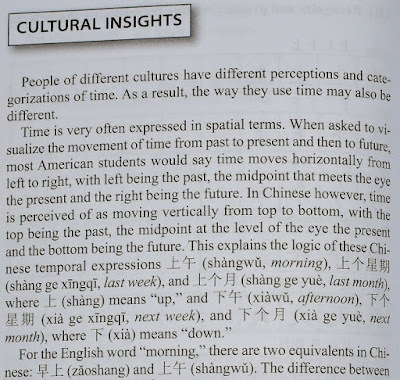 Cultural Insights - I really enjoy this section of the book (it's the reason I choose to learn!). Yong Ho attempts to explain to the foreigner why certain things are the way they are in China, often tying this in with the chapter's topic. After all ten chapters, the last sections of this book also explain to the user how one can improve and supplement their Chinese through the use of the internet etc. Despite its relatively small size and compactness, Beginner's Chinese does a solid job of introducing the bare basics of Mandarin Chinese. It is a handy travel tool and a great course in itself. The sentence patterns and dialogue are easily accessible and useful in everyday conversation. One main downside is the lack of varied and better examples in the exercise/practice section of the book. However that is being a little picky as ample exercises are provided. Another "downside", I suppose, is how short the book is - relatively speaking. The ten chapters already provided are good on a basic level, but it would have been nice if more topics were included to expand the reader's knowledge of Chinese. 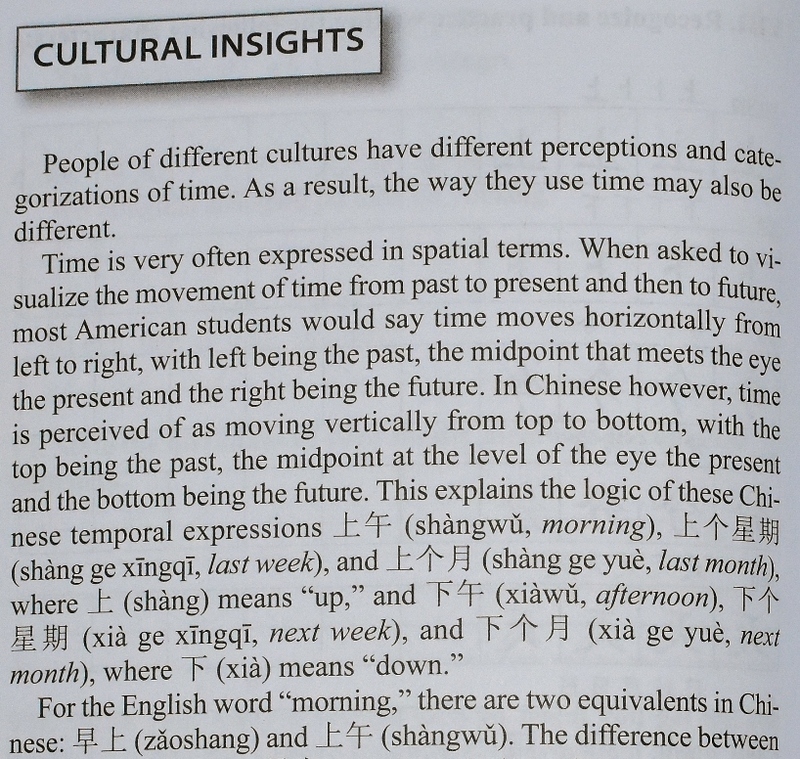 That being said, our friend Yong Ho has produced an Intermediate Chinese book which appears to make up for this. 8.5 - 9.0 out of 10. I would highly recommend it to anyone interested in a casual-take-it-easy crash course on Mandarin Chinese. I should note here that if you want a bulkier, meatier book, I highly highly highly highly highly recommend New Practical Chinese Reader (although there are 6 volumes of this altogether - at the time of writing I am stuck at the end of Volume 1). I honestly think NPCR is one of the best designed textbooks I have come across. That said, Beginner's Chinese is a good starting point and foundation. Credit to my mum for the photos. We found your review online and very much enjoyed it. It was very thorough, and it's always helpful for us to hear what does and doesn't work for future editions. Of course, we are particularly thrilled you called it "a gem of a book" :) Best of luck with your Chinese language studies!